Love beautiful low-poly games? If so, today we’ve got an interview that may give you just a little extra insight into what goes into creating the stunning games we all love and enjoy. Today we would like to share with you our interview with the uaJoyTech team, the developers of Aqueducts! Check out our review here. Before we start we’d like to thank the uaJoyTech team for participating in our interview and for answering our geeky questions! Thanks, guys! Ok first up, why did you decide to make Aqueducts? We just wanted to make a game with mechanics like in the Plumber games, but to stand out among many such games we decided to make a game with bright graphics and in the setting of ancient Rome and the choice fell on aqueducts. Can you tell us a little about how the stunning visuals were made in Aqueducts? We were looking for projects and images of how the bright low poly graphics should look and took an example from it. What advice would you give a new player trying Aqueducts for the first time? Honestly, I do not even know. We tried to make the game fairly simple and understandable and new players usually immediately understand the main task of the game. Ok, now for some geeky questions. 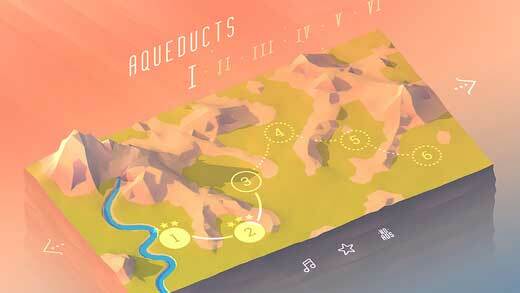 What programming language and or software did you use when making Aqueducts? Here is a difficult question. 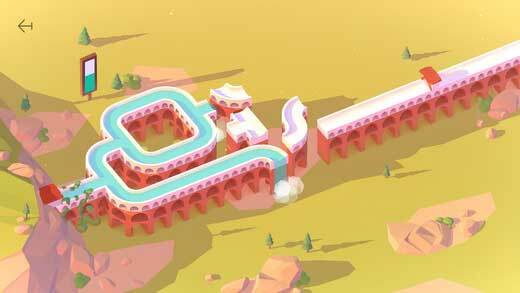 What was the hardest problem you needed to overcome when developing Aqueducts? 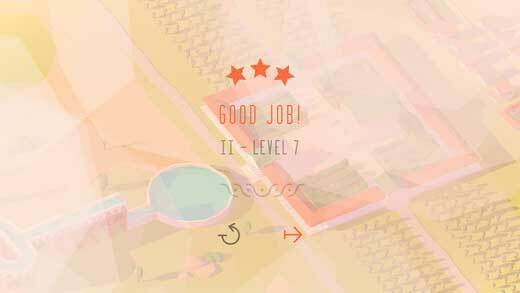 The hardest problem was that we released the game with a mistake in the algorithm of filling the aqueducts with water on some devices, due to this on many devices the water could not reach the end point and it was impossible to pass the level. It took us several days to find the problem, during this time we received a lot of negative feedback, but in the end, we coped. If you were to name one book or movie that has greatly influenced your work, what would it be? Specifically, a book or a film can not be named, but in order to more strongly convey the atmosphere of ancient Rome, we looked through thematic videos and looked for additional information on the Internet. Last question. Where do you get inspiration or ideas from? 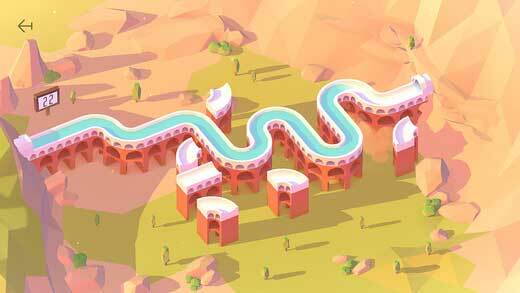 Bright and beautiful low poly graphics, Ancient Rome and game mechanics like Plumber. A few words to Aqueducts fans on Edamame Reviews. In the following updates, we plan to add new features to the game mechanics for the new chapters. I hope fans will like it! Thank you for your contribution to the gaming industry. Keep up a great work! Love our interview with the uaJoyTech Team?